Home News Medical Cannabis News Will the European legal cannabis industry prosper? Be Cann is on track to become an essential actor in a flourishing national legal cannabis market and burgeoning European industry. Be Cann was created through the association of six entrepreneurs with complementary skills, backgrounds and experience. We are a French company, active in the legal cannabis space since 2017. Our members range from medical and cosmetics professionals, financial analysts and serial entrepreneurs to business development and marketing consultants. 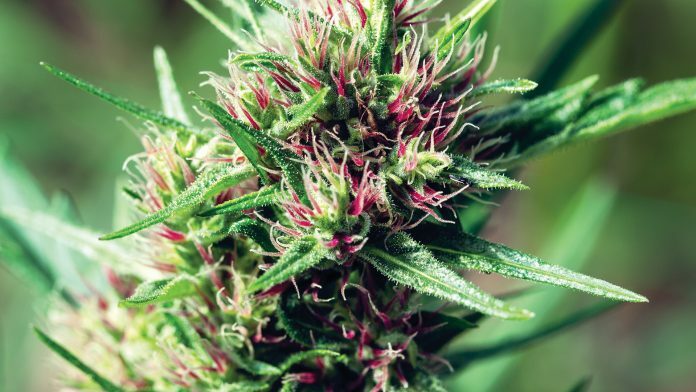 Several of us had been attending cannabis conferences around the world, others had been watching the North American stock markets, while others again had seen the increasingly demonstrated potential of cannabinoids from a scientific perspective. One of our founding members had found relief and assistance in recovery from health problems via the use of traditional, plant-based Eastern medicines. We came together with different visions of cannabis, of its future and of this industry; this is one of our true strengths. Joanna Weaver Pélissier, our CEO, is Canadian. Collectively, we have five nationalities (French, Canadian, Swedish, Swiss and Argentinian) and fluency in seven European languages. How do you fit into the European cannabis industry? We see Be Cann as a bridge connecting two worlds, that of the French cosmetics industry and that of start-ups and small enterprises in the CBD space, worldwide. The first is a regulatory-heavy domain where rigour, precision, scientific expertise and quality control are key. The second is full of extremely dynamic, motivated and creative entrepreneurs, who are unfortunately manoeuvring amidst regulatory grey zones and often lacking in business or operational experience, adequate resources, legal counsel – or a combination. We collaborate and develop partnerships with the most credible and ambitious micro, small and medium enterprises (MSMEs) in Europe’s legal cannabis industry. Our aim is to create a professional ecosystem, one that will participate in providing relief to a majority of people in need (already estimated at several hundred thousand in France alone), and wellness products to entire populations, as we head towards the end of prohibition of the Cannabis Sativa L. plant. Our experience in start-ups, finance, strategy and development, and our production facilities and toxicological expertise, in conjunction with our important network, allow us to bring added value to emerging players in an industry that is burgeoning. Where we cannot offer in-house expertise, we collaborate and connect clients with specialised partner consulting firms, such as Hanway Associates in the UK or CHK Solutions in Spain. Be Cann is also a bridge across the Atlantic, between the Americas and Europe. It has been an enriching learning experience, discovering the complexities of diverse regulatory environments and stages of legalisation around the world, both medical and recreational. There is a need for the type of local turnkey solutions that Be Cann can offer its clients and partners. Europe is a highly attractive market for US and Canadian companies, but it is equally as complicated to enter into without the right local partners. Today, even the most valiant are reasonably intimidated by the multitude of languages, cultures, governmental systems, ever-evolving national and European legislations, etc. Nonetheless, now is the time to work together and build strong partnerships! 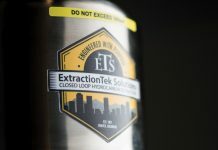 B2B distribution of high-quality cannabinoid materials and active ingredients, notably phytocannabinoid-rich extracts without THC and premier terpene blends. All of our raw materials and finished products are certified and tested by an independent French laboratory. Be Cann also offers laboratory testing services. Partnerships with and investments in French and European SMSEs to accompany them in their development and expansion plans and to join forces where synergies are possible and present win-win-win opportunities. We never underestimate the value of good partners. Win-win…win? The third winning party is the patient, the consumer, the community or even the industry as a whole. It is our strong belief that we must collaborate in the legal cannabis space, which is quite unique in many ways. Not only is it an emerging industry in the internet era, borne from a grass-roots movement, with stratospheric potential, but it is characterised by the open sharing of information, discoveries and professional networks. There is a discernable ‘higher purpose’ and shared overarching goals among its constituents: doing good, helping people, reverting to natural products and remedies, reducing our ecological footprint, and minimising the increasingly confirmed dangers associated with opioid use, to curb this frightening epidemic. At the very least, we are all convinced of the virtues of phytotherapy and the immense power of this incredible plant and want to ensure that its virtues remain freely accessible and not privatised by pharmaceutical groups. Despite its legislative environment – among the most restrictive in Europe – and a national market that has not yet been afforded the possibility of flourishing, we chose France for Be Cann’s home base. We have intimate knowledge of the French market, which we believe is destined to become one of the most important at the European level. Moreover, France is recognised worldwide for its undisputable quality in many domains; our excellence in viticulture, agriculture, perfume, cosmetics and luxury goods makes France a formidable contender in the emerging legal cannabis industry. Be Cann is headquartered in France, but our playground is Europe. We have operations in Germany, the UK, and Eastern and Southern Europe. Successfully complying with the extremely stringent regulations in France, Be Cann can confidently tap into other European markets. Our focus is on plant-derived cannabinoids that do not produce psychotropic effects. 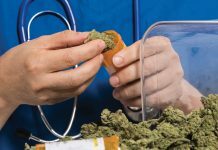 These include CBD, but there are many others showing significant potential and gaining interest among academics, researchers and educated consumers. As a reminder, Cannabis sativa L. (hemp or industrial hemp), a variety of the Cannabis sativa plant species, is the only variety permitted for cultivation in France, due to its low THC content (inferior or equal to 0.2%). The use of hemp’s flowering buds is currently prohibited under French – though not European – law. Leveraging, and distinguishing ourselves by, our specific knowhow and industry network, Be Cann focuses much of its energy into the formulation and manufacture of phytocannabinoid-rich cosmetic products. We are invariably in favour of plant-sourced cannabinoids versus their synthetic substitutes. The beauty is in the plant and in nature. Be Cann formulates, tests, registers and manufactures CBD/cannabinoid and hemp cosmetic products for global markets. The excellent connotation of ‘Made in France’ cosmetics, along with our understanding of cannabinoids and their transdermal potential, has brought clients from the Americas, Israel and throughout the EU to develop products with Be Cann. In France, the cosmetics industry is just behind those of aeronautics and wines and spirits. Organic cosmetics are booming in France, and exports of French cosmetic products reached €13.6bn in 2017.6 This record demonstrates not only that our excellent reputation in this domain is a question of tradition but that innovation, research and discovery of new markets are continuous in the French cosmetics industry. Well-known for its numerous virtues, hempseed oil, which is rich in Omega-3, Omega-6 (of which Gamma-linolenic acid) and in tocopherol (vitamin E) has long been a favoured ingredient for cosmetics. The hemp cosmetics market is currently thriving. The growing interest in CBD-based cosmetic products represents a radical shift in the industry’s and consumers’ values. Consumers are becoming increasingly educated with regards to cannabinoids, and thus their demands are becoming more sophisticated. The bioavailability potential of cannabinoids via the dermal route has received a lot of attention from scientists and informed consumers alike. Cosmetics development is both a science and an art. It cannot be improvised, if the goal is to create consistent, safe, quality and efficacious products. We propose Private Label cosmetics formulation, developing products specifically for, and unique to, our clients. The formulas thus remain proprietary to the brand; this is a true asset for the valuation of a brand. The PIF is an administratively heavy and time-consuming step but of utmost importance. A complete file contains critical information such as toxicological validations, traceability measures, validated results of stability tests, patch tests, safety data for each ingredient and container type, labelling details, etc. Unfortunately, in the EU, the rapidly increasing demand, combined with emerging CBD brands’ eagerness to meet new market demands as quickly as possible, has resulted in a slew of unregistered, often untested, inconsistent and most often ineffective (when not potentially harmful) CBD cosmetic products appearing on European shelves. Be Cann handles the whole administrative process to ensure that our clients’ products are properly compliant and legally marketable at any requested country levels. This naturally include the diligent review, advice on and validation of potential claims made on marketed products. Our GMP cosmetics laboratory is located in the beautiful Ardèche natural park region. We work with standard operating procedures (SOPs), meet regulations EC N 1223/2009, and are accredited by ECOCERT. We develop and produce everything from creams, balms and oils, to serums, to shampoos, to oral hygiene products. The entire industrial process is controlled and secured according to the strict criteria of our ERP (Enterprise Resource Planning), from the selection of ingredients to the departure of finished products. Toxicological monitoring is a priority, and we are fortunate to have this expertise in-house. The use of hygiene/cleaning products and maintenance procedures (conventional and certified organic) are systematic at all stages of production. The traceability of raw materials and quality control throughout the entire process are fundamental to Be Cann. An ingredient will not be accepted for use by our lab unless it is accompanied by exhaustive safety documentation. Each batch of our production is tested for cannabinoid content by an independent French analysis laboratory before shipment. It is this intransigence that enables Be Cann to guarantee consistent, legal and quality cosmetics products for worldwide markets. We are committed to providing reliable quantitative data to our clients and, subsequently, to the final consumer. Our cannabinoid potency profiling is carried out according to the methodology recommended by the United Nations Office on Drugs and Crime (UNODC): HPLC – ISBN 978.92.1.248176.0, currently the only internationally recognised method. Terpenes profiling can be useful to assist consumers in choosing products that best suit their needs. Also known as essential oils, terpenes are powerful compounds; they can be common contact allergens, even at doses that would seem harmless to the average person. Let’s be clear. Hemp in itself is a very safe plant. Hemp-derived products should present no danger to humans or animals. But its improper cultivation, processing, and/or storage can render final products unsafe, particularly with repeated, long-term use, and especially by people who have compromised immune systems. There are too many terrifying stories involving mould, solvents and bacteria detected in products on the shelves of some stores and websites – and, yes, even on this side of the Atlantic. We do hope that our lobbying and education efforts, alongside the most serious European companies, will be taken into consideration when European regulators implement standardised rules of control. Awaiting the implementation of standardised rules of control from European regulators, we strongly urge all producers to play their part by systematically having a third-party lab perform analyses. To what extent does the regulatory environment affect you? 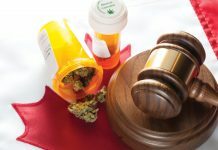 The incoherence and lack of harmonisation of the legislation – whether at the local, national, continental or global level – constitute a veritable impediment to the development of the legal cannabis industry. That said, this peculiar regulatory environment presents an exceptional opportunity for development for SMEs like ours. The deontological codes of large groups (investment funds, listed companies) limit or prohibit activities connected with cannabis. The World Anti-Doping Agency retracted CBD from its List of Prohibited Substances (while cannabis and synthetic cannabinoids remain listed). At the European level, cannabinoid-rich sublingual oils and edibles are extremely attractive product segments, considering their market volume and exceptional growth rate. Nonetheless, their future in Europe is uncertain, threatened by this January’s announcement by the European Commission to classify CBD as a ‘novel food’. The Commission elected to modify the entries relating to Cannabis sativa and CBD in the EU’s Novel Food Catalogue; all extracts of hemp and derived products containing cannabinoids are now considered novel (while hemp seeds, flour and seed oil remain permitted). As a consequence, products with cannabinoids that are to be ingested may not be sold on the EU market without a pre-market approval, according to Regulation 2015/2283. Our vision of the legal cannabis industry goes far beyond its economic nature and potential. We accord a particular importance to the support of not-for-profit activities led by diverse associations and university research efforts. As an emerging industry, we must do our part in advancing meaningful conversation around the cannabis plant. We must continuously educate ourselves and those who are prepared to learn and develop the industry responsibly and professionally so that others will become open to gaining an understanding of the real challenges, opportunities and benefits for all stakeholders. Be Cann is a member of the EIHA and Syndicat du Chanvre Bien-être (Wellness Hemp Union), and supports various think tanks, associations and not-for-profits in France and Europe. We recently sponsored and participated in the first-ever medical cannabis conference in France, Cannabis Europa, held at the Maison de la Chimie, just steps away from the National Assembly. This event was carried out at a time and location that we would not have believed possible two years ago, when we first met the incredible team that would bring this conference to Paris. 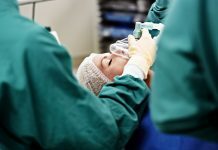 This type of paradigm-shifting event is critical in helping to educate medical professionals, political figures, decision makers and regulators, and to unite industry actors of all kinds. Through round-table discussions, panels and testimonials, we gain a deeper understanding of both the offerings and the challenges that this remarkable plant presents: scientific, therapeutic, legal, historical, stigma, and sustainability benefits. We learn from each other and our eyes and minds have no choice but to open. Last year, we attended the International Cannabis Policy Conference in Vienna, Austria, an outstanding event organised with the help of over 60 NGOs. Here, the focus was on ‘linking cannabis to sustainable development’; opportunities for positive societal and environmental impact through the plant’s immense versatility were explored in depth, highlighting the need for transparent and ethical future drug policies at the international level. CannaTech Tel Aviv was also a profoundly captivating and enriching experience, learning from globally recognised experts, industry pioneers, and leading Israeli researchers, alongside actors from all corners of the globe. 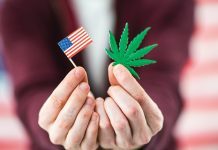 This spring, MJBiz, an American leader in industry news and events, is holding its first European conference in Copenhagen, Denmark, Cannabis Europa is back in June for its flagship London event, and the second edition of the Medical Cannabis World Forum will take place in Malta in the autumn, to name just a few events. A few years back, there was only a handful of conferences in Europe. Now, it is virtually impossible to fit them all in our schedules. There are extremely encouraging signs. We are confident that by 2020, once sufficient light has been shed on the numerous grey zones and national legal incoherencies, Be Cann will be an essential actor in a flourishing national market, and across the continent. A warm invitation is extended to potential clients, partners, researchers, and anyone interested in this industry, to contact us or meet with us at an upcoming event or at our laboratory in Southern France. Among the plethora of natural substances that the hemp plant offers, we find cannabidiol (CBD), a molecule with not only skin-soothing and hydrating virtues but also, as stated in the CosIng (Cosmetic ingredient database), antioxidant, antiseborrhoeic, skin-conditioning and skin protecting. In 2012, Israeli scientists identified more than 1,200 genes affected by CBD: 600 gene transcripts were upregulated by CBD and 524 were downregulated. CBD has also been shown to regulate the expression of 491 genes, 165 of which are in skin. How can we know if a product is safe? The problem is that consumers cannot determine whether a product on the shelves of a specialised shop, or available online, is properly registered, and thus that it has undergone the testing process. It is the responsibility of distributors and retailers to ensure that the products they sell are safe and legal for consumer use. The same applies to other CBD products, such as tinctures and sublingual oils, edibles, and e-liquids. 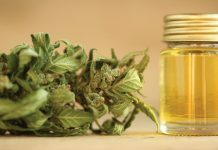 Several reports of CBD products currently available on the EU market have shown a stark contrast between brands who manufacture properly and label accurately, and those who absolutely do not. Not only can the availability of under-performing and inconsistent (or worse –contaminated) cannabinoid-based products be dangerous for the consumer – particularly in repeated doses, or in cases where the immune system is already fragile/weakened – but it will undoubtedly negatively affect the public perception of CBD and the credibility of our growing industry. As the market evolves, consumers and distributors will inevitably prefer brands they can trust.